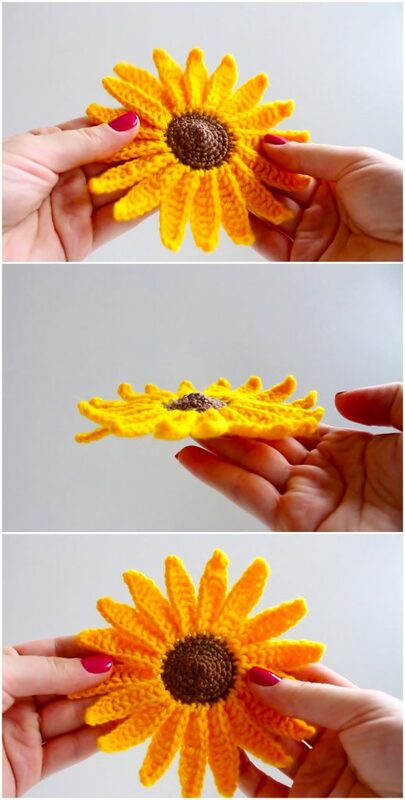 Hey there, welcome to design-birdy.com Today we would like to share with you an article with the step by step instructions about crocheting the sunflower that is presented on the photos. There have been many crochet flower related articles shared on this website, because I just love crochet flowers and when I saw the photos of the crochet sunflower, I could not help myself to share it with you guys. It is really easy to crochet the sunflower like this on your own and with the help of the video tutorial that is presented in the article it becomes ever easier.